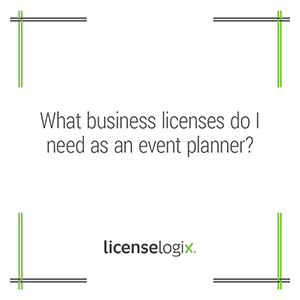 What business licenses do I need as an event planner? Each state, county and city differ when it comes to registering and licensing event planning businesses. Depending on the specifics of your business, you may need to obtain a state or local Sales Tax ID or Payroll Tax ID. In addition, many localities require a Basic Business License for any type of business operating within its jurisdiction. If you are unsure what you need, we can help you research business licenses as well as file business licenses for all your needs. Contact us now to get started!